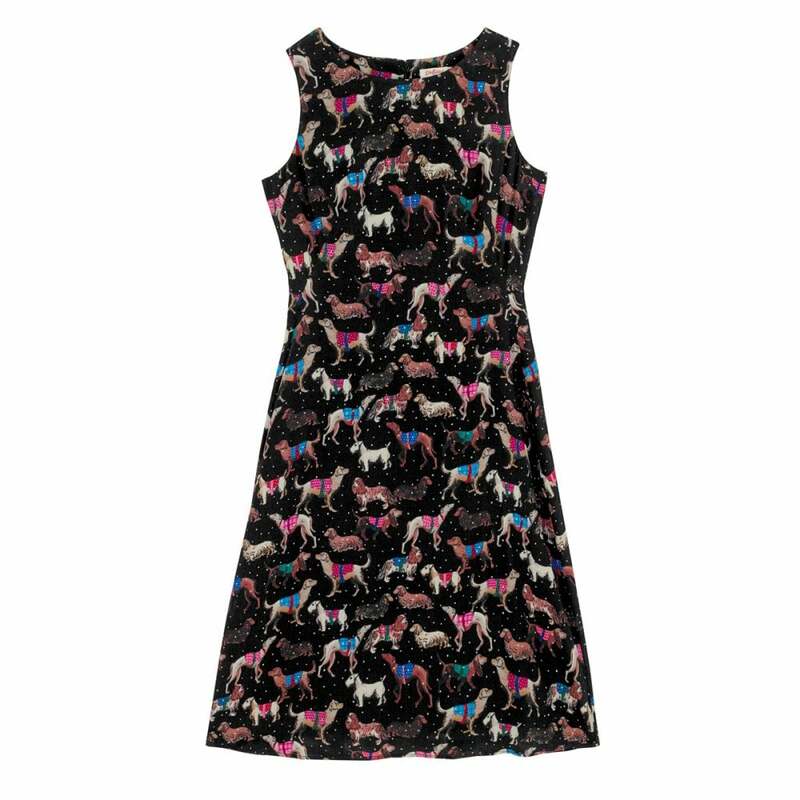 It was puppy-love at first sight when we saw this dress! Designed with a beautifully detailed dog print in a classic sleeveless, mid-length shape. Created from a soft viscose it has a fantastic finish, it looks great worn alone or over a crisp white shirt.